You are well visible from afar for other traffic participants. 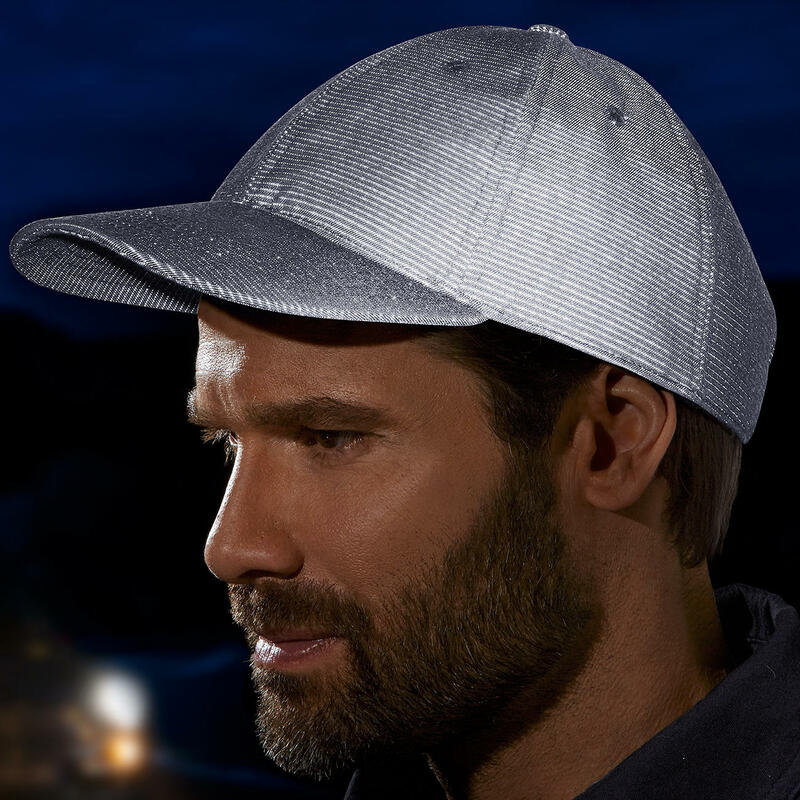 The denim cap with invisibly woven-in reflector feature. Secret of the glowing effect: Instead of the usual white warp threads, the denim was woven with an innovative reflector yarn. Stable, 7.5cm (3") long brim. Rear tab for width adjustment. Air ventilation eyelets at the top of the cap. Colour: Anthracite/Grey Denim. 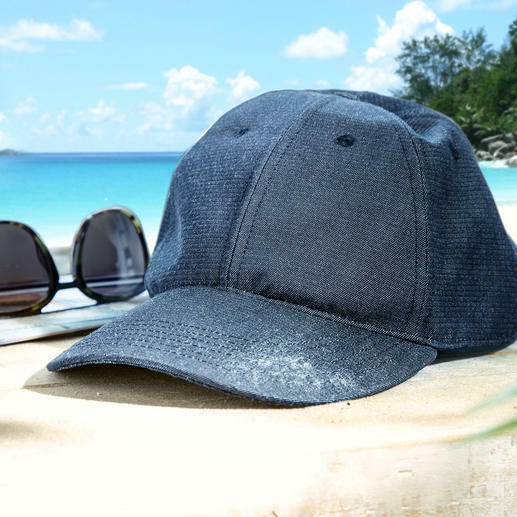 Shell: 51% cotton, 33% polyester, 16% polyethylene. Lining: 100% cotton. Machine washable. Exclusive to Pro-Idee.